by Cixin Liu | Science Fiction & Fantasy | This book has not been rated. In 1967 Ye Wenjie witnesses Red Guards killing her father during China's Cultural Revolution. This event shapes both the rest of her life and the future of mankind. Four decades later, Beijing police ask nanotech engineer Wang Miao to infiltrate a secretive cabal of scientists after a spate of inexplicable suicides. Wang's investigation leads him to a mysterious online game and immerse him in a virtual world ruled by the intractable and unpredictable interaction of its three suns. 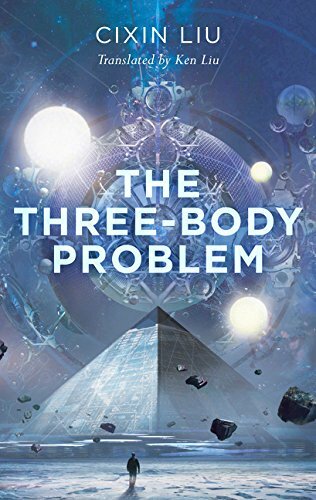 This is the Three-Body Problem and it is the key to everything from the scientists' deaths to a huge conspiration and threat to humanity. The book looked sort of difficult, but I'm glad I decided to try it anyway. It was a truly fascinating and clever book, and not actually difficult to read. It was also interesting to get to read some Chinese science fiction. The book is a paperback, bought from internet book store. Translated from Chinese by Ken Liu.